Choose type, length, & quantity. Eliminate tedious manual cutting. It can take a considerable amount of time to cut long lengths of tubing into smaller segments. When we provide your tubing already cut to the lengths you need, your facility has more time to focus on more important things. Save by having one company provide your tubing cutting. Do you buy tubing from one supplier and work with another to have the tubing cut? That’s wasted time and hassle. With our custom cut tubing program, one call and your tubing will arrive ready to use – directly from us. Simplify your ordering process with a single part number, so ordering your custom cut tubing becomes easy. No expensive cutting equipment. No investment, maintenance, replacement parts, or training required. On the low tech side, no saws, knives, scissors, blades, or bandages either. Your highly paid associates are NOT performing the labor. They can concentrate on doing research, building products, or servicing your customers. Minimize waste with more accurate lengths. We guarantee each tubing length will meet your specifications for accuracy. We gladly provide samples for your approval before your order is processed. Small quantity orders of almost any tubing length! All we ask is that you order any stock length of tubing. Wide selection of tubing brands, types, and sizes! Cole-Parmer has over 100 formulations from trusted brands like Masterflex®, Tygon®, Dow Corning®, to name a few. Our tubing cutting equipment can accommodate up to 1-inch diameter tubing. 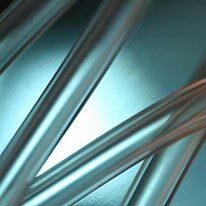 Tubing lengths can be bulk, bagged, or packaged per your requirements. One thousand segments per bag or just five; double-bagged; in a box…. you decide. Samples provided before you place an order. Rest assured that your custom cut tubing will work in your application. We only complete your order after you have approved the samples. For more information on custom cut-to-length tubing services, contact our Application Specialists.